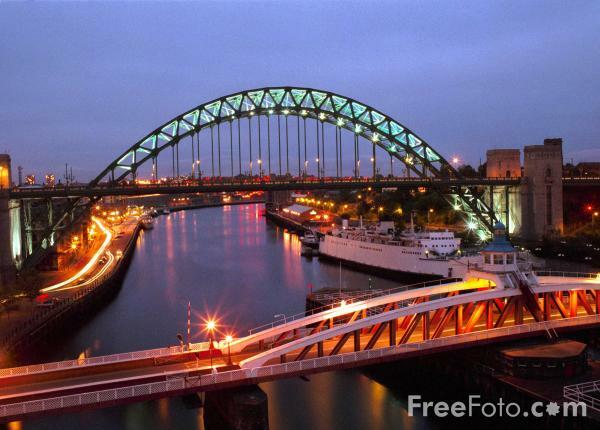 Newcastle: the first place to face serious cuts in its councillors? Most political activists know that by 2018 the Conservatives will have succeeded in pushing through boundary changes that will cut the number of MPs from 650 to 600 at a time when the UK’s population is rising. Not so well-known is that there is a local government equivalent now under way by the Local Government Boundary Commission for England which is not being made nearly as obvious. Papers circulating among councillors in the Newcastle upon Tyne reveal that the Commission is about to look at a series of big cities as part of an ongoing review of local ward boundaries. The bombshell, I am told, is, as a result, the number of councillors in the city could fall by a massive one-third – from 78 to 54. And that similar exercises could see reductions in councillors in Manchester, Leeds, Birmingham and Bristol. The rationale behind the Commission’s interest is that changes in voter registration from households to individuals have seen a big drop in people registering to vote. Particularly affected are university students who used to be registered en bloc by the authority and now have to register themselves. Newcastle,Manchester, Birmingham, Bristol and London all have huge student concentrations and registration has plummeted. Also the growth in privately rented accommodation has seen people not always registering when they change address. Once there a ten per cent difference either way the Commission thinks it should review the authority. It was the student drop that attracted the Commission’s attention to Newcastle. One ward,Ouseburn. saw figures down 30 per cent. But a registration drive saw this fall confined to four per cent. Officially the Commission say they have no political motive – though it would hit Labour councils disproportionately – and only act if there are big changes in wards. However documents circulating in Newcastle suggest differently. They reveal the council asked them to drop the review – because it did not meet the criteria( now only two out of 26 wards meet that figure) but the Commission refused. The Commission confirmed they have cut councillors outside big cities citing Stafford (-19 councillors), Suffolk Coastal (-13) and South Bucks (-12). They also say they have not cut councillors in Leicester, York, Bristol and Sheffield. The one increase is in Hertfordshire which will have 78 councillors – an extra seat is being created in Hatfield in the constituency of Grant Shapps, the former Tory chairman. To be fair the councillors in North Hatfield appear to be a little under represented. To me this suggests another agenda that it is totally not in keeping with government’s vowed policy to promote localism. It fits more with an agenda of promoting city mayors to replace elected authorities, slashing local government costs and reducing accountability at a very local level. Would a totally privatised London borough of Barnet need many councillors for example? I am not saying the Commission may have this agenda – more its political masters. But the Commission is not being entirely open about what is happening.You will find none of this information in this blog on the Commission’s website as it says it talks to local authorities ( presumably in private) first. Luckily at least one Newcastle MP, Nick Brown, a former chief whip, seems to be aware of what could be happening and I fully expect him to start raising this in Parliament.I hope others will do so. This entry was posted in town hall, uncategorised and tagged barnet, manchester, newcastle -upon-tyne, student voters. Bookmark the permalink. – That there is a policy to reduce councillor numbers in the electoral review programme. You are right to point to a downward trend but these have come overwhelmingly as a result of councils’ own cases made to the Commission: all the cases made to the Commission on councillor numbers are available on the Commission’s website. – That the Commission’s programme is targeted towards urban and metropolitan areas. The programme is diverse: districts, counties, unitaries, metropolitan boroughs and London boroughs are reviewed primarily on the basis of electoral equality for voters not their tier or geographic location. – That there is evidence that metropolitan areas are reducing numbers disproportionately to other tiers and types of authority. In fact, the evidence I showed you points towards the opposite. Either way, decisions are made on a case by case basis regardless of the type of authority. Newcastle’s experience (upon which no decisions have yet been taken) simply can’t be applied to urban authorities in England in this way. Why does Newcastle need 78 councillors, while both Leicester and Nottingham – cities of similar-sizesd populations to Newcastle – manage reasonably well with fewer that 60 each? Is it a legacy from the bad old days of patronage and T. Dan Smith?